All too often Anne Frank becomes a symbol, used to show ‘the triumph of hope over evil’, even though she was killed during the Holocaust. Sometimes she is quoted utterly out of context to provide uplifting sentiments, or short phrases with redemptive messages. 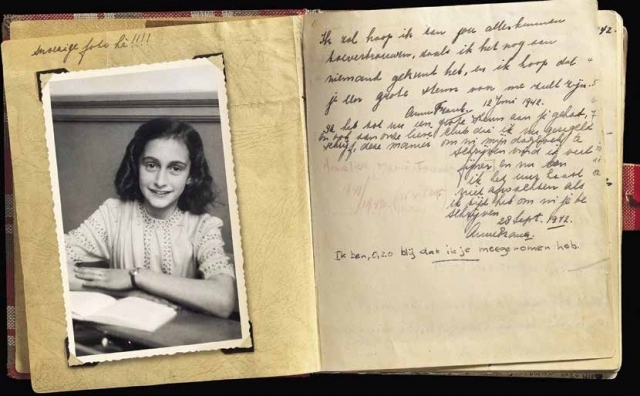 What this lesson sets out to do is to show that Anne Frank was a real teenage girl in a real historical context, and if we are to understand her brilliance we need to look beyond the simplistic clichés that are associated with her. The lesson explores the events of Anne’s life as well as the events in Nazi Germany and in the occupied Netherlands to show the real world in which Anne lived.